This past February, I had the opportunity to attend Buy Social Canada’s annual summit. Billed as the event for “ exploring the rapidly emerging and expanding field of social procurement,” I found it insightful and informative. It offered a great opportunity to see a wide range of purchasers from across the country and from all sectors, including government, corporations, and anchor institutions with social enterprise suppliers. Moreover, it was a great way to see how these actors work to frame, design, and participate in the world of social procurement. This year’s summit focused on moving from simply defining social procurement to considering how it could be leveraged for public benefit. Through a number of panels, keynotes, and discussions over two days, there were some crucial insights I took away from the experience, as well as some considerations as we move forward. Countries in the Organisation for Economic Co-operation and Development (OECD) spend on average 12% of their gross domestic product on public procurement. And opportunities to transform that 12% for public benefit are growing. Recently, for instance, community benefits agreements in Toronto and Windsor have shown how social procurement works to boost local employment opportunities. At the moment, social procurement agreements across Canada are often focused on infrastructure projects, but these are just one example – and can work as a springboard to new opportunities in other areas. To be successful on a broader scale, social procurement needs to be embedded in government purchasing frameworks as a practice across all sectors. If we can make social procurement a key plank in policies and strategies for procurement more generally, we can ensure communities keep more of the benefits. Social procurement presents an opportunity for a host of actors – nonprofits, social enterprises, governments, unions and the private sector – to generate revenue and add value. It also provides an opportunity for people to build insight on the return on investment: by reflecting on what’s happening in their communities and sectors, and how they can leverage their purchasing power to do so. To be effective, social procurement must incorporate the diversity and interests of the communities in which it operates. As a Black woman, for instance, I find the space of social procurement often does not include or reflect the communities that I come from or often interact with. While we know that an aim of social procurement is to ensure that Indigenous, Black, and marginalized groups become the primary beneficiaries, what does this look like in practise? The summit did offer some examples, namely the federal government’s procurement strategy for Aboriginal Business as well as its recent focus on women entrepreneurship. But there is a more to be done. There are opportunities to better align social procurement more systematically in order to achieve equity, as well as broader social policy goals. Following from this, I also ask who makes up the community, particularly since community needs to be at helm of social procurement conversations? As Alisha Masongsong of Exchange Inner City said, “We [communities] need to stop asking government for permission to be a part of the conversation.” In the case of many communities, there are have been a lot of voices that have been left out in terms of infrastructure developments or the construction of housing, or not being included identified and supported locally through supply chains. The purported benefits that these projects often claim to provide are not always distributed or directed to support those who often would need it most and primarily the people who live, work, and play in the places. Community voice is important. Social procurement is a key tool that creates space for community to be the decision-makers in the process, ensuring that government and other sectors are working in tandem to support them, provide public benefit, and ensure their communities thrive. There are so many communities across the country that are doing this work, including municipalities, provinces, and other entities. In Toronto, the municipal government has introduced its own Social Procurement Program, focusing on creating supply chain diversity and workforce development, while in the coastal community of Vancouver Island, a procurement initiative is underway to support local governments and First Nations in implementing social procurement. Nonprofits are enterprising organizations. They are connectors; they can align resources and services with local communities, and bring multiple players and stakeholders to the procurement table. But social procurement can be difficult to track – policy and funding arrangements are emerging at an accelerating rate, and small organizations may not have adequate resources, knowledge, or connections to help build truly equitable solutions. The summit highlighted the notion that nonprofits need to shift their focus from government as a funder towards government as a consumer. The fact that nonprofits work as value creators and not value extractors is what sets them apart from the competition. This means seeing the opportunities that social procurement presents. It can mean leveraging nonprofit purchasing power by supporting local social enterprises, or setting up a nonprofit social enterprise as a way to create opportunities for government and nonprofits alike. This includes solving problems, and delivering impact – social outcomes and public benefit – which are most lucrative. This shift may take some work. It may be early days, but we are seeing a growing number of strategies to move the conversation forward. 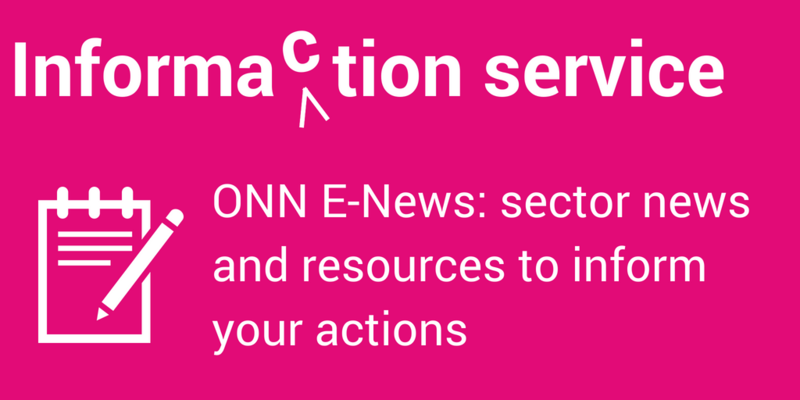 At ONN, we support different networks to drive social procurement. We do this in a variety of ways by working to ensure legislative frameworks create the space for community benefits opportunities for nonprofits at the provincial level, or leveraging our annual conference to create space for these discussions. Through our power to provide public benefit, nonprofits can move the dial on social procurement and open the door for communities to thrive. Teshini Harrison has several years’ experience in government relations, policy analysis, research, nonprofit policy advocacy, project management, communications and event management. Teshini is the co-founder and former communications director of the Young Leaders Advisory Council (YLAC), an Ottawa nonprofit supporting racialized youth and communities through education and mentorship. Teshini holds an International Bachelor’s degree in Political Science with a certificate in Law and Social Thought, as well as a bilingual Master’s in Public and International Affairs from York University’s Glendon Campus. 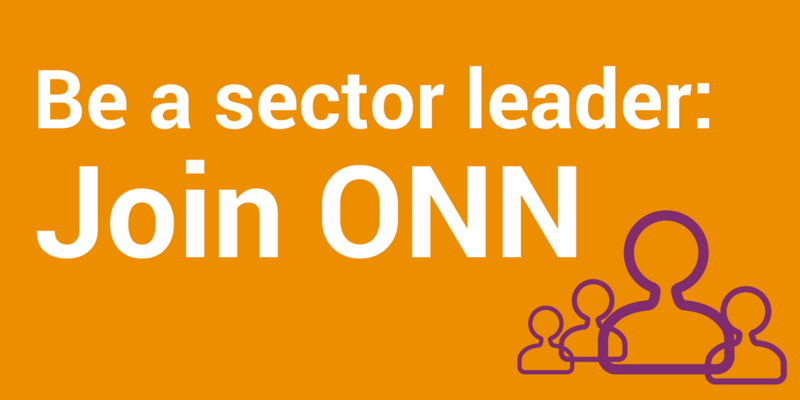 She joined the ONN team in May 2018.